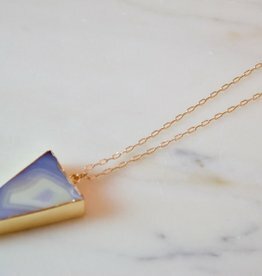 This gorgeous agate pyramid necklace is an absolute beauty. Due to the organic nature of this product, agate stones will vary in color. 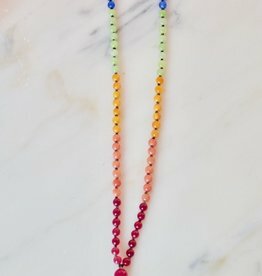 This semi-precious stone, mala necklace is perfect for balancing your chakras. 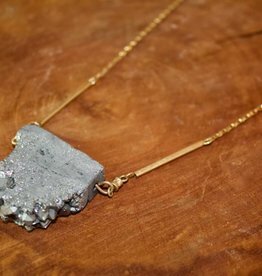 Each stone represents the color of your chakras, so you can meditate and set an intention to align your energy centers all with this beautiful piece. Save the bees! 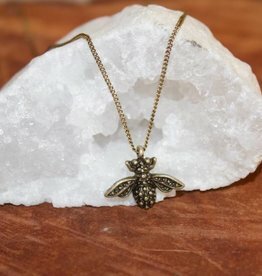 Wear this as a reminder to live consciously and be considerate of our busy, beautiful honey workers. 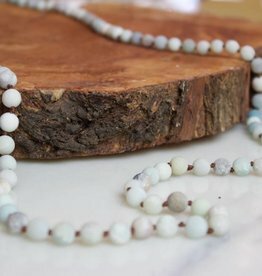 These matte-finished amazonite, stones are a beautiful addition to your natural organic wardrobe. 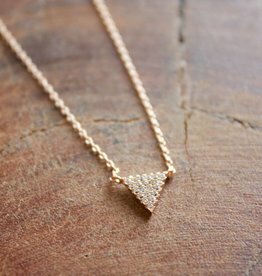 Add this faux diamond pyramid fashion accessory necklace to your wardrobe today. 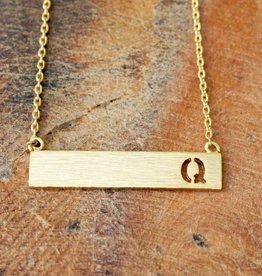 It's glam and modern and looks great with anything and everything. 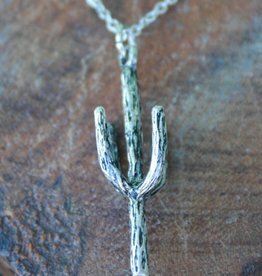 For all of you saguaro-lovin' souls, this 3D necklace is a must have. 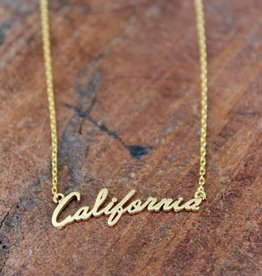 Add a bit of California desert to your wardrobe without getting pricked. 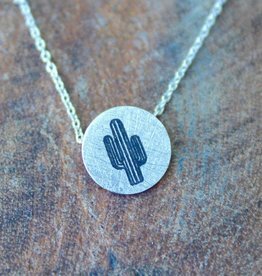 Update your wardrobe today with this cool-cactus, coin necklace. It's simple elegance at its best. Initial this! 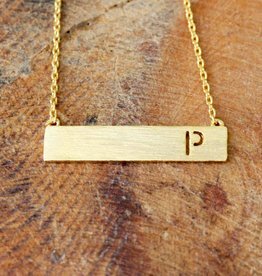 Now you can wear the letter of your choice on a super-cool, faux gold necklace! 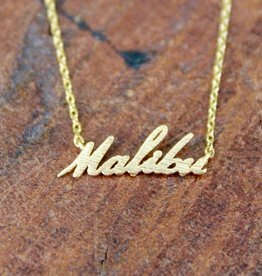 These dainty, fashion accessories make great personalized gifts, and look good with every outfit!